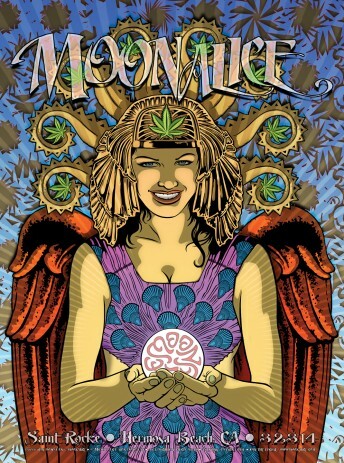 According to Moonalice legend, angels are good. Especially angels with really good weed. Ladies and gentlemen, tonight's poster by Ron Donovan depicts one such angel, the amazing Blue Dream Moonalice, whose sativas are known to spin heads with a single puff. So good was Blue Dream's cannabis, that it has its own social code: puff, puff, pass out!!! Enjoy!! !